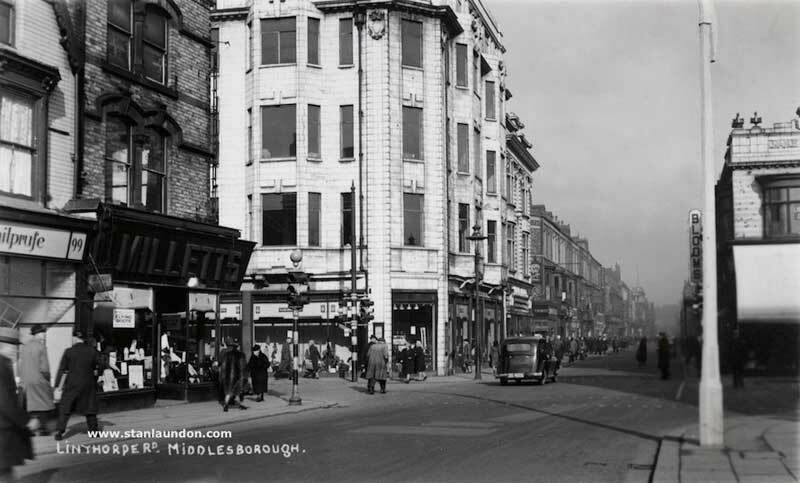 Middlesbrough is a large industrial town situated on the south bank of the River Tees in North Yorkshire, England and was my home for almost 20 years during the 1970's. 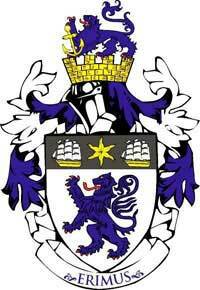 Although I no longer live there it's a town I still have fond memories of. 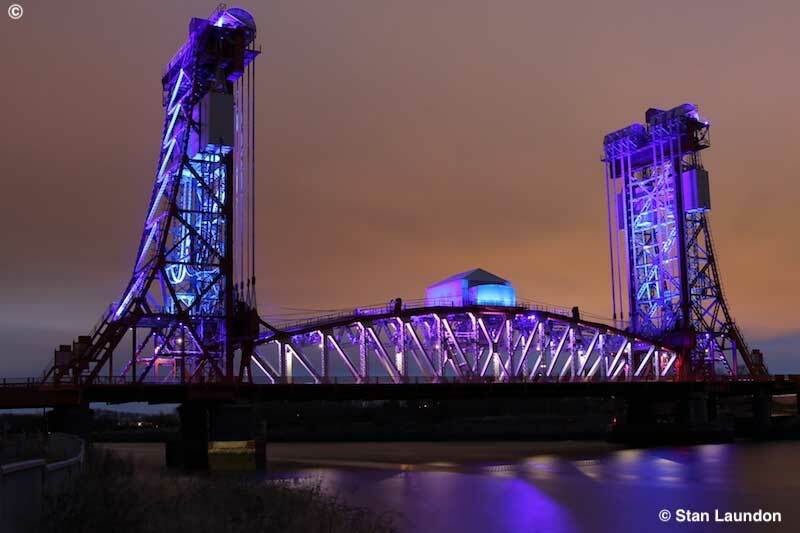 One of Middlesbrough's most famous landmarks - The Transporter Bridge - was designed by the Darlington-based Cleveland Bridge & Engineering Company, constructed by Sir William Arrol & Company and opened on October 17th, 1911 at a cost of £87,316. 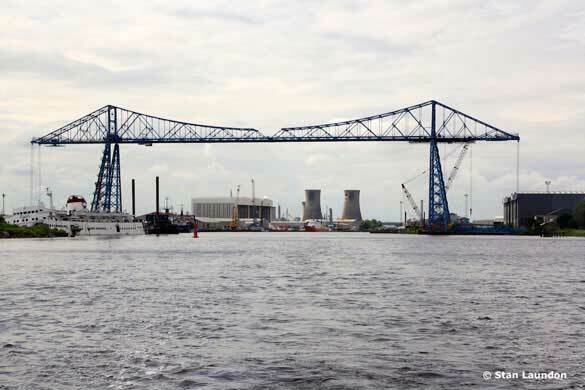 Often threatened with closure in the past, it is now seen as Teesside’s iconic symbol. 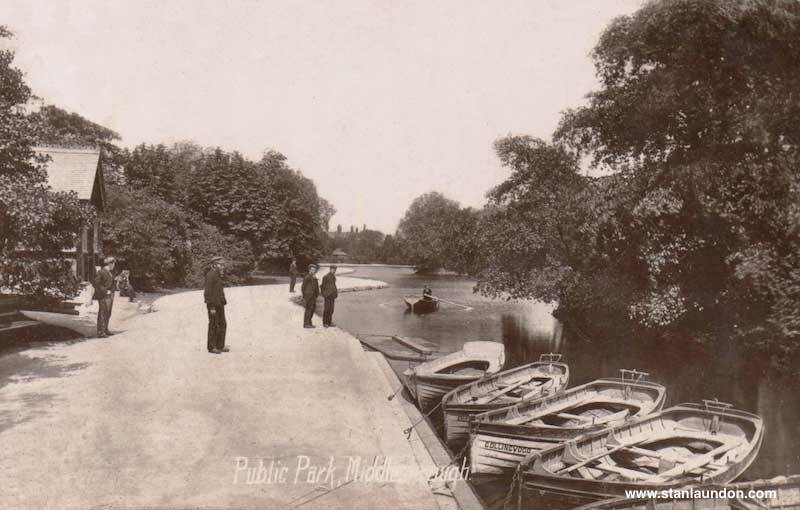 The bridge survived German bombing raids in both world wars – by a Zeppelin in 1916 and by a bomber plane in 1940. 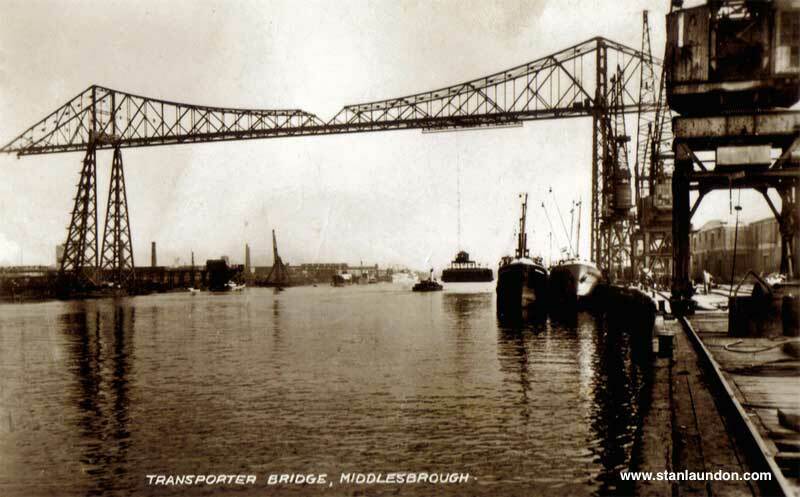 An old postcard showing the Transporter Bridge in Middlesbrough. The Transporter was famously featured in the TV series "Auf Wiedersehen, Pet", in the film "Billy Elliot" and on the video and cover of the single "High" by the Lighthouse Family. In March 1974, funnyman Terry Scott wrote off his Jaguar when driving it straight off the Transporter’s approach road as he believed it to be a normal bridge. 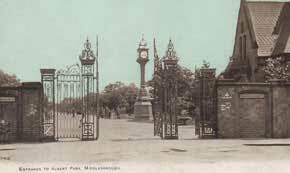 Albert Park gates then and now. 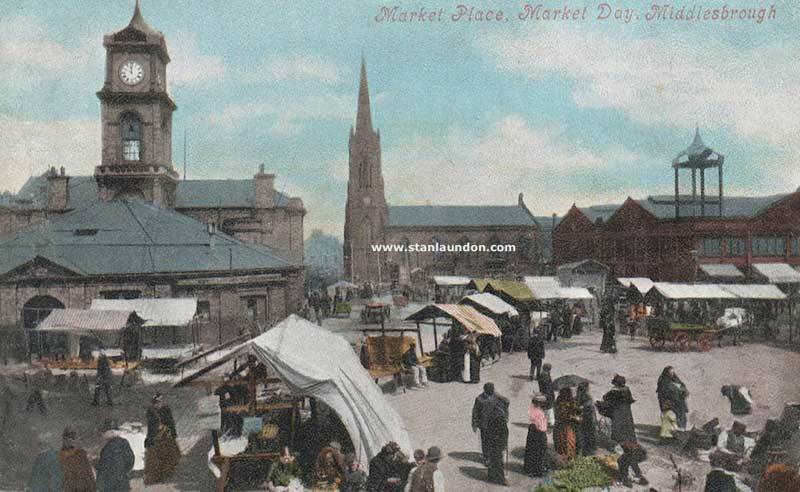 The first image showing an old postcard and a more modern photograph - copyright © Stan Laundon. 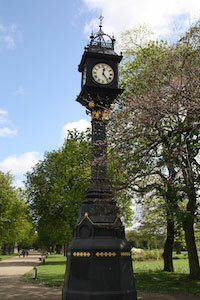 How nice, too, to see the Grade II listed Memorial Clock inside the park. Clicking on the images will open them in a slightly larger size. 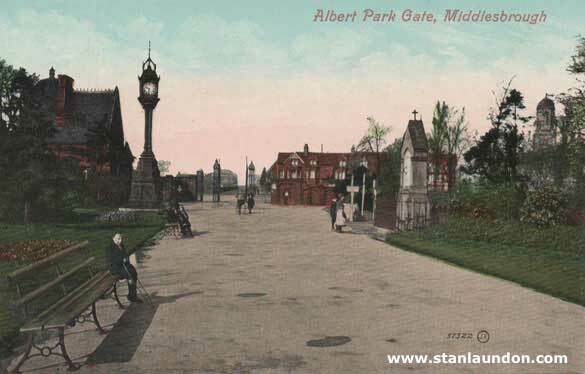 A postcard showing Albert Park gates and the Memorial Clock from inside the park. 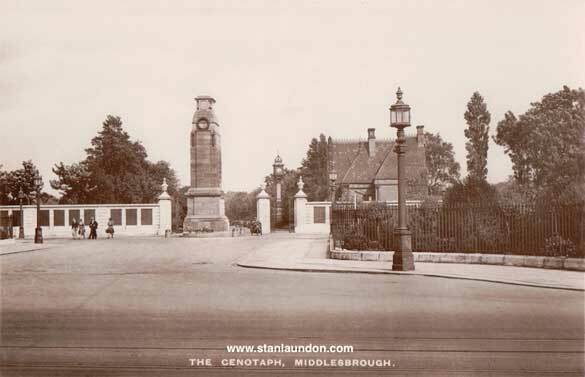 Another old postcard - but this time showing the cenotaph and looking towards the Albert Park gates and the Memorial Clock. Albert Park yet again - and note the old style dress on the young boys and ladies. 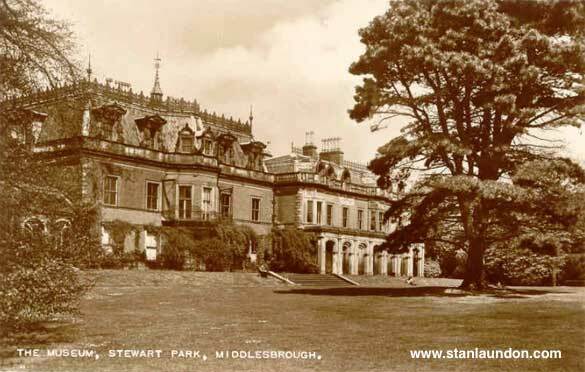 The Museum in Stewart Park, Middlesbrough. 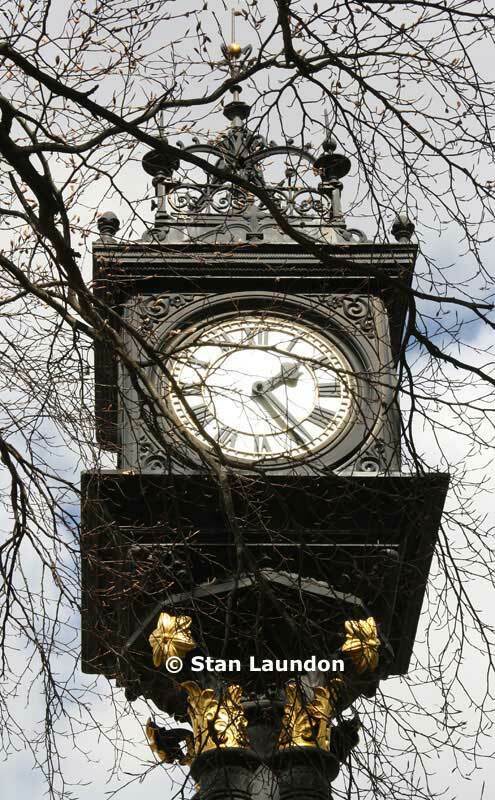 The park covers approximately 120 acres of mature woodland and houses the Captain Cook Birthplace Museum. 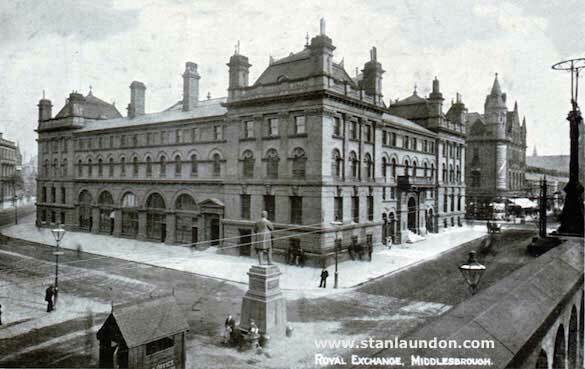 Two postcards of the Royal Exchange with the statue of Henry Bolckow in the centre of the postcards. 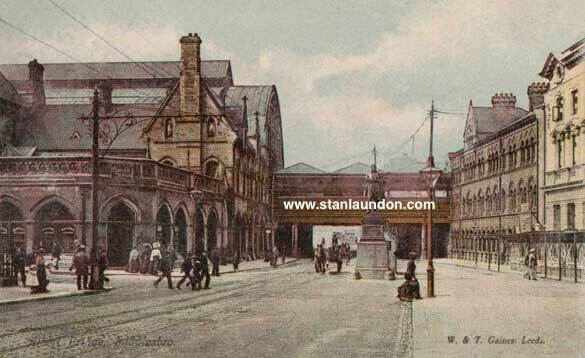 The Exchange and Post Office - another wonderful old postcard showing as it used to be! 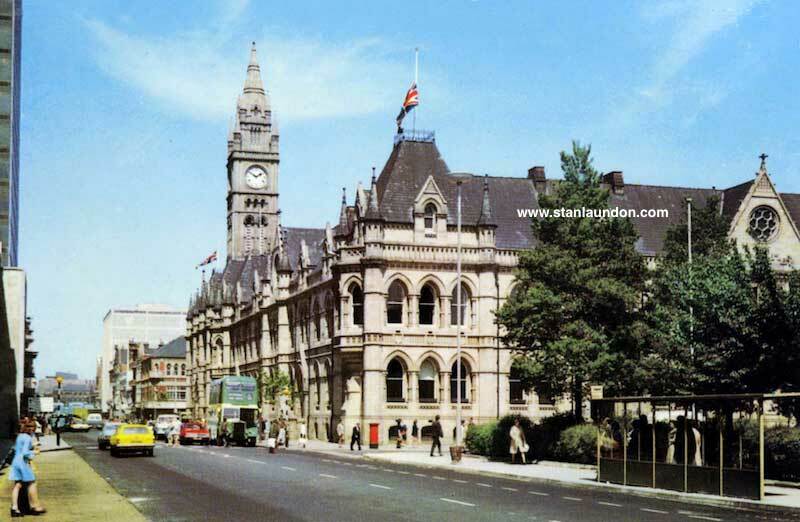 I can't help wondering how many people, like me, wish that some of these wonderful old buildings were still standing. 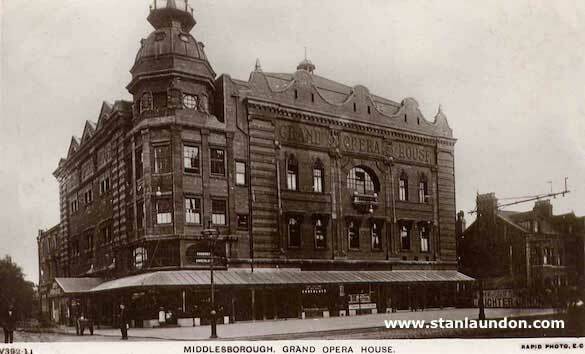 This is The Grand Opera House and stunning it is, too - despite a spelling error on Middlesbrough! 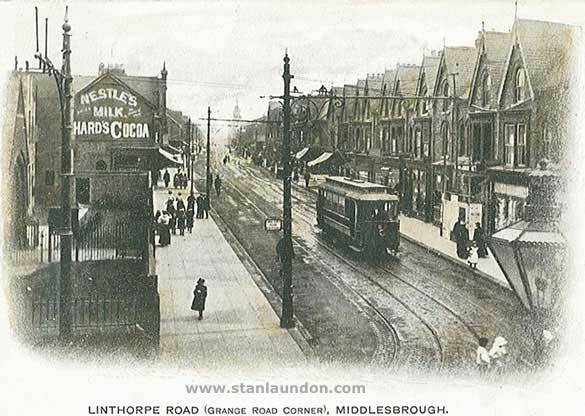 Linthorpe Road at the Grange Road corner and how nice to see those old painted advertising signs on the sides of buildings or 'ghost signs' as they are known. There's such a lot going on here with Boots the chemist on the right and the Manfield Boots store. 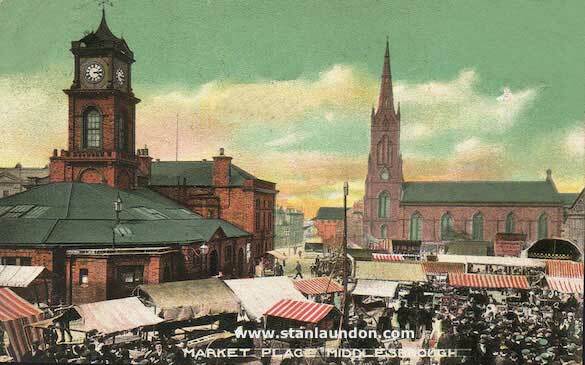 How times have changed here, too, with The Market Place in St. Hilda's. 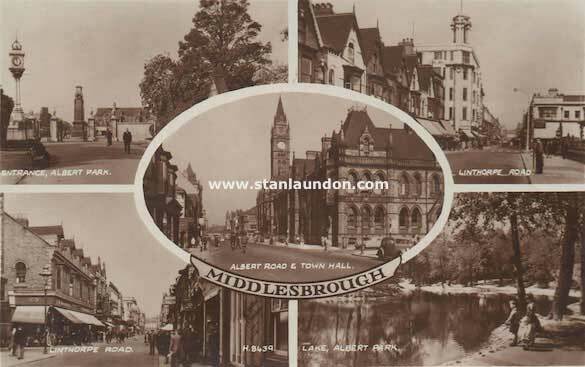 A picturesque postcard with various views of Middlesbrough showing Albert Park, Linthorpe Road, Albert Road & Town Hall and the Lake in Albert Park. 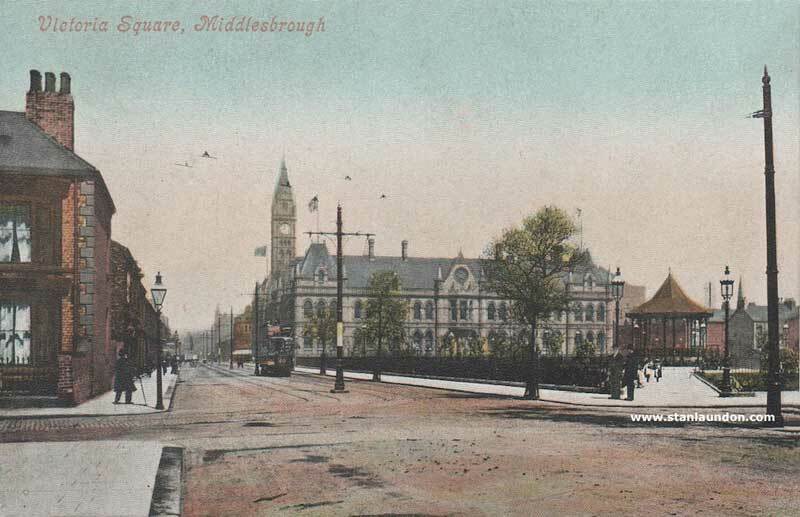 Another really old postcard showing more various scenes of Middlesbrough including a general view the town centre, the Transporter Bridge, Corporation Road, Dorman Museum, Sadler Memorial, General Post Office and the Opera House. 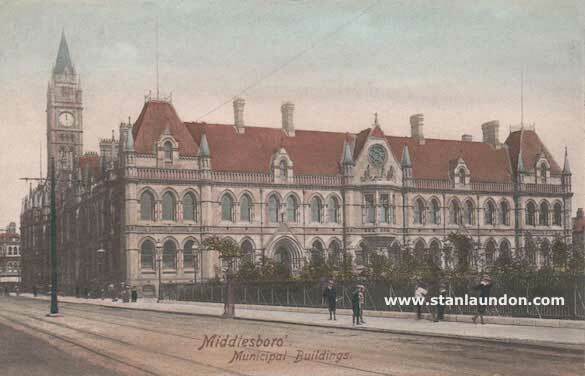 Two almost identical postcards showing the Town Hall and Municipal Buildings in Middlesbrough town centre. 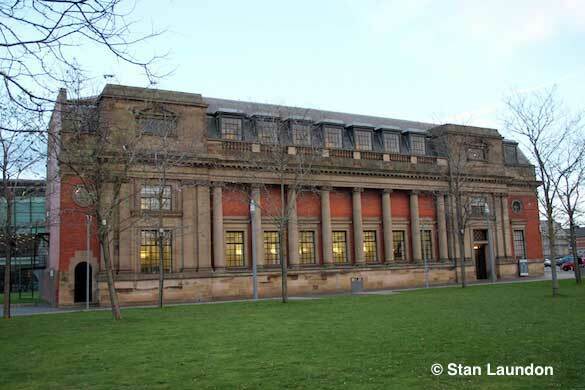 The Central Public Library in Victoria Square, Middlesbrough, was built between 1909 and 1912 by S.B. Russell and T.E. Cooper of London under part patronage of Andrew Carnegie. 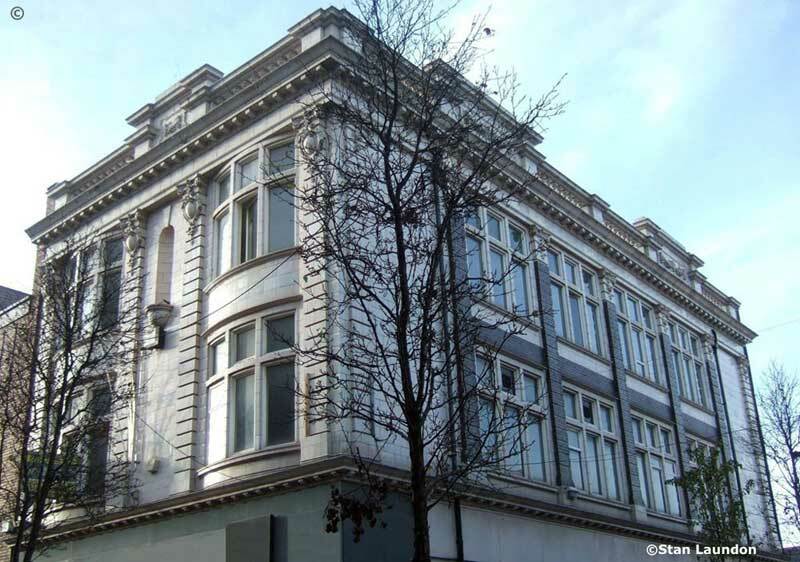 The building is Grade II listed. 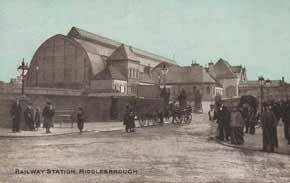 These postcards date to 1904 and show a lot of activity outside Middlesbrough Railway Station. I know both cards look identical but, as one is colour and the other black and white, I thought I would include them on this page. They can be seen slightly larger by clicking on the images. 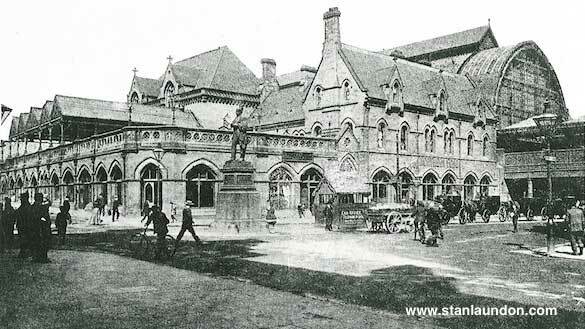 No date on this on I'm afraid but you can clearly see it's an old postcard showing the railway station as it was many years ago. A lovely postcard, produced by W & T Gaines of Leeds, showing Albert Bridge with the railway station to the left. 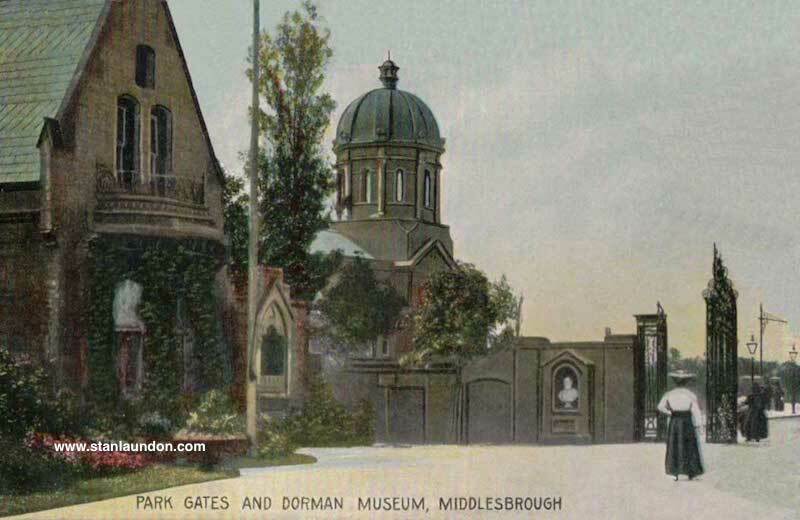 Another lovely old postcard showing the Dorman Museum in Linthorpe Road. 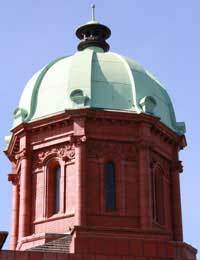 You can see a close up photograph of the dome in the right hand column. 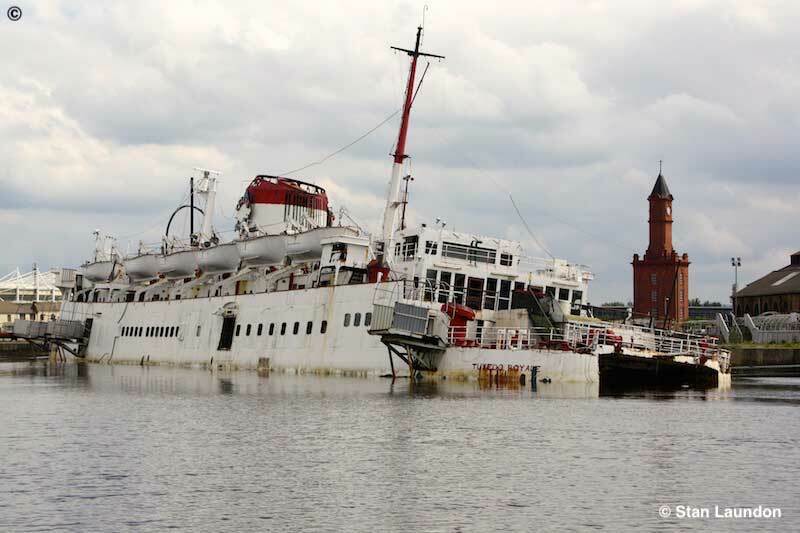 These two photographs of the "Tuxedo Royale" were taken in 2011 as the vessel was in a very sorry state on the River Tees. 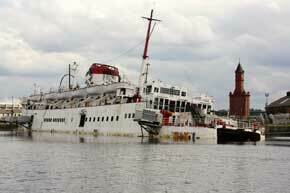 It was described, at the time, as a "potential hazard" and had been rusting at this location since 2011. 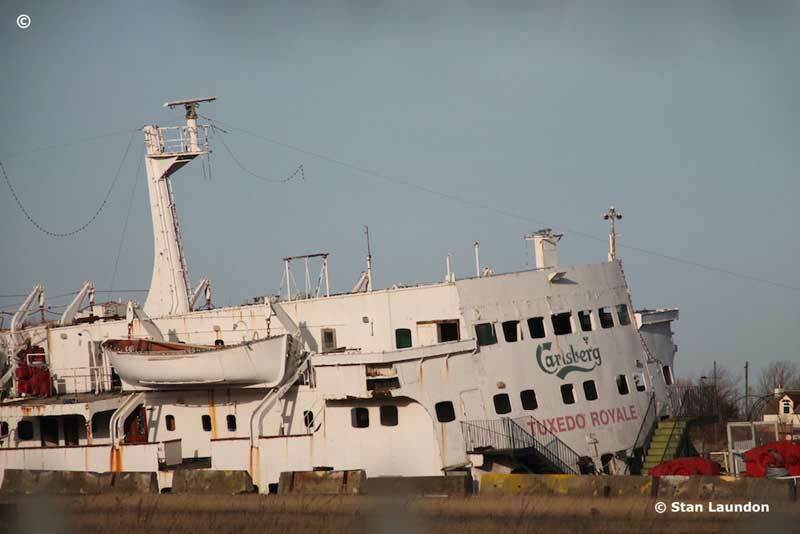 During mid-October 2017 a final decision was made to have her moved to the Able Yard at Graythorp, near Hartlepool, to be scrapped. 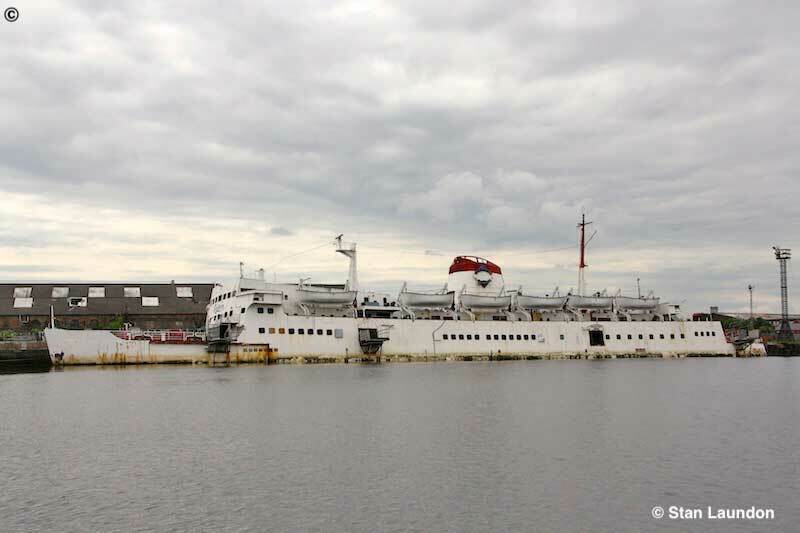 "Tuxedo Royale" as she looked during early September 2018 - still in a sorry state and still berthed on the River Tees. 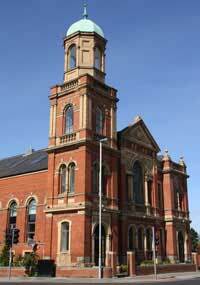 The former National and Provincial Bank in Cleveland Street was designed in 1872 by architect John Gibson. It is now the Cleveland Club. 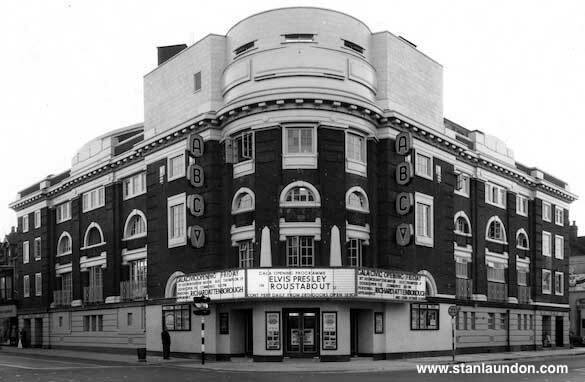 This photograph of the ABC Cinema in Middlesbrough, at the junction of Borough Road and Linthorpe Road, is courtesy of Dusashenka's Old Cinema Photographs and used with thanks. At the time it was showing the Elvis Presley film "Roustabout" which dates to 1964. You can read more about the movie on the IMDB website. 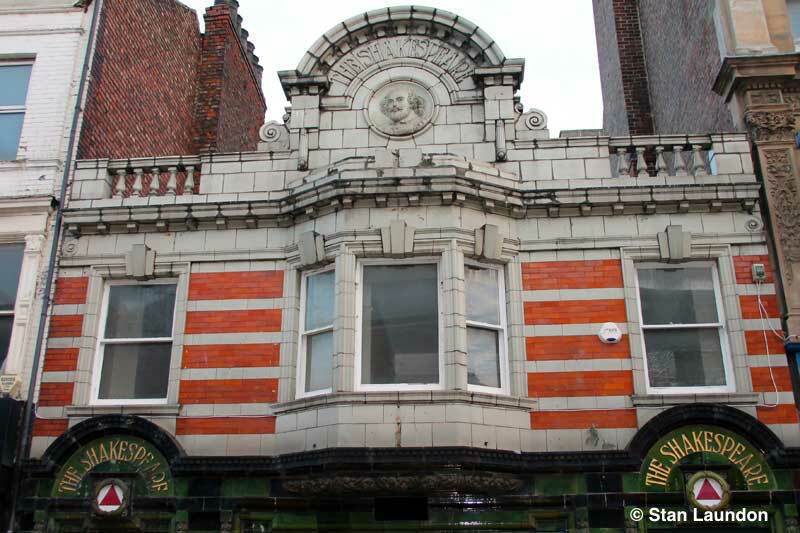 The stone engraving and architecture on The Shakespeare public house in lower Linthorpe Road is quite impressive. 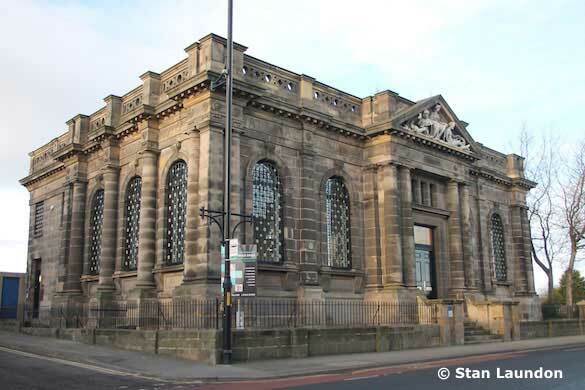 It is a Grade II listed building. 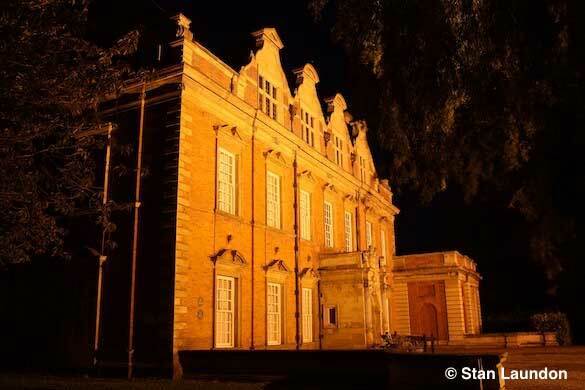 The Grade 1 listed building Acklam Hall at night. This manor house was built for Sir William Hustler in 1678 and was part of a large estate. 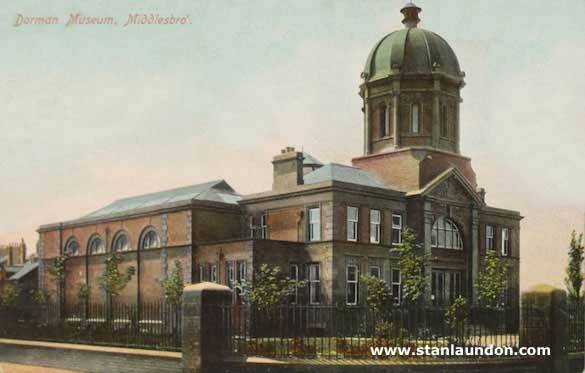 The house was restored in 1845 and became a secondary school in 1936. It is one of the oldest and finest domestic buildings in Cleveland, England. At present it is run by Cleveland College. 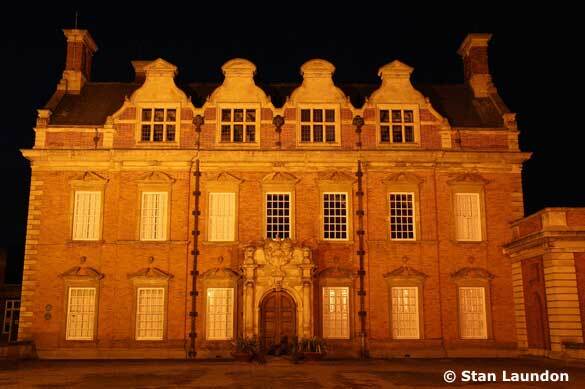 Another night image of the impressive Acklam Hall. 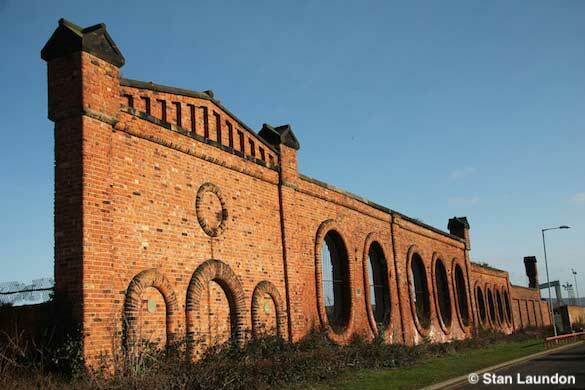 You can see a series of internal photographs of this wonderful building on the Historic England website. 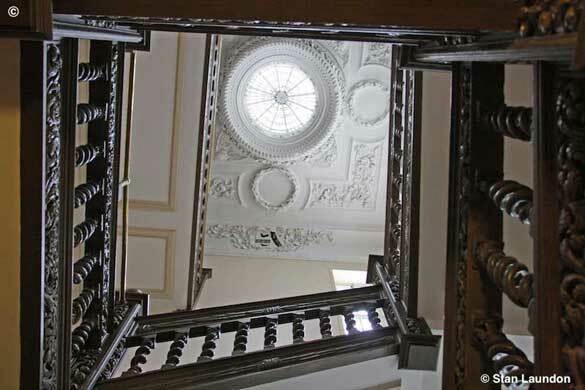 The staircase inside Acklam Hall, looking towards the beautifully carved ceiling dome. Acklam Hall is not open to the public so I was honoured to have gained access to record the inside of this beautiful building. A more modern view of Middlesbrough with Temenos. This sculpture, by Anish Kapoor and Cecil Balmond, stands almost 164ft (50m) high and 360ft (110m) long. 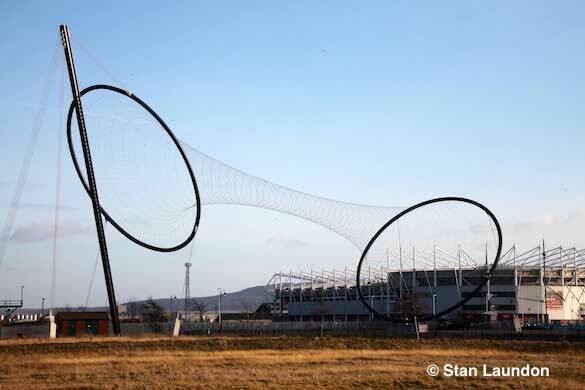 The giant dual-ringed public art installation was constructed in the Middlehaven area of the town in 2010 at a cost of £2.7m and took four months to piece together. Thousands of metres of steel wire were woven between the two steel rings to create the sculpture. 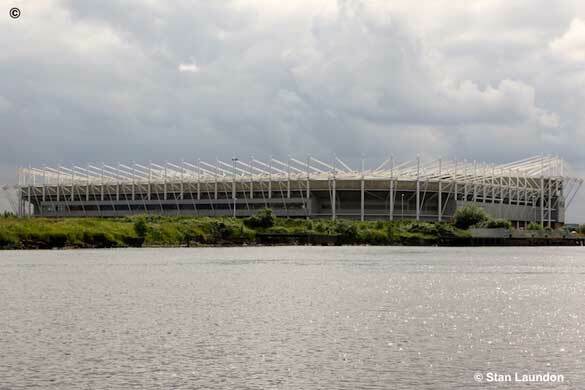 The Riverside Stadium, home of Middlesbrough Football Club, can be seen to the right. An unusual and impressive view of the Riverside Stadium - home of Middlesbrough Football Club. This was taken during a boat trip I made up and down the River Tees during July 2012. Two photographs of Newport Bridge taken five years apart. The one of the left dates to 2011 with the newly painted one in May, 2016. 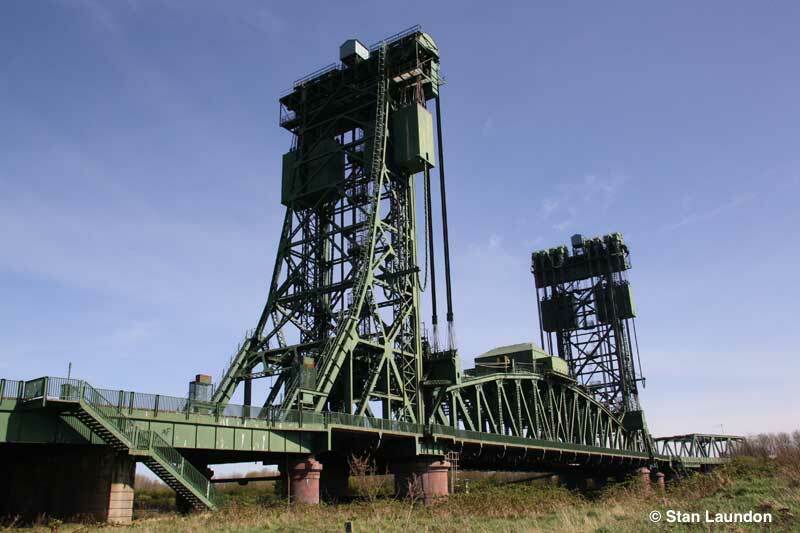 The bridge was opened in 1934 as a “lifting bridge” which lifts horizontally between two towers supported on wire ropes at each end of the span. 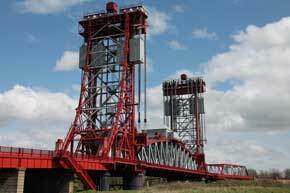 Teesside iron and steel works, Dorman Long, fabricated the steel for the bridge. 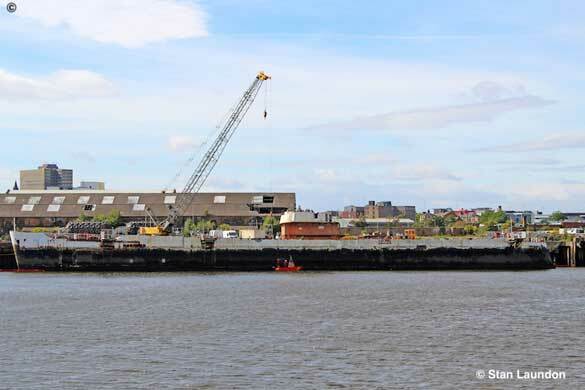 Originally 12 men were employed to man the bridge around the clock and during the 1940s and 50s and average of 800 vessels per year would pass beneath it. 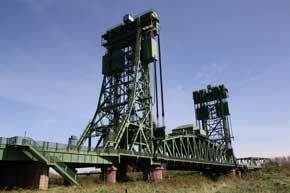 The lifting mechanism was locked down permanently in 1990 and no longer raises. Newport Bridge, taken on Christmas Eve 2017, and dominating the night skyline with a grand array of lights for the winter season. 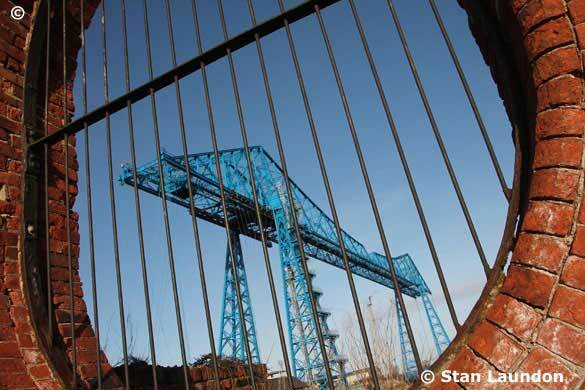 The photograph directly above is the Transporter Bridge, taken through the Vulcan Street Wall, and is from a book, which was released in August 2015, from Amberley Publishing titled "Secret Middlesbrough" by Paul Chrystal and Stan Laundon and sells for £14.99 or direct from Amberley's own website at £13.49. 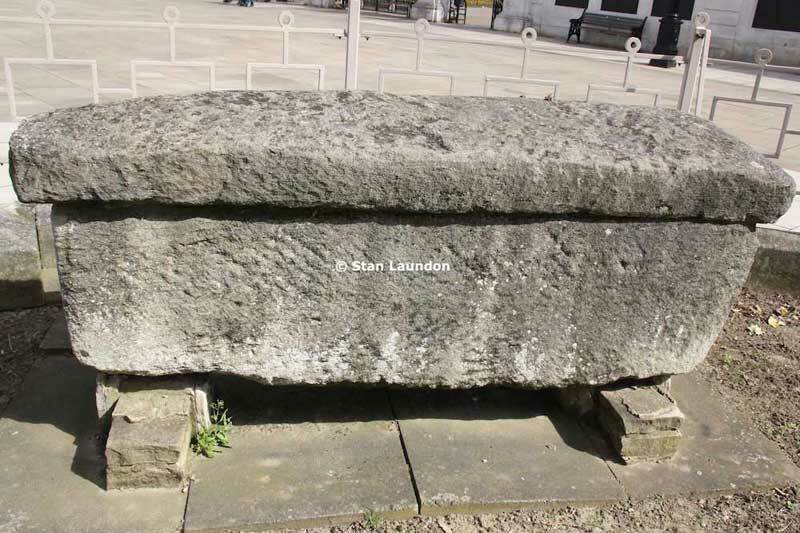 The Vulcan Street Wall is also featured in a recent book by Paul Chrystal titled "Old Middlesbrough" which is released through Stenlake Publishing. You can read more about the book in the right hand column. Middlesbrough is a large industrial town situated on the south bank of the River Tees in North Yorkshire, England. 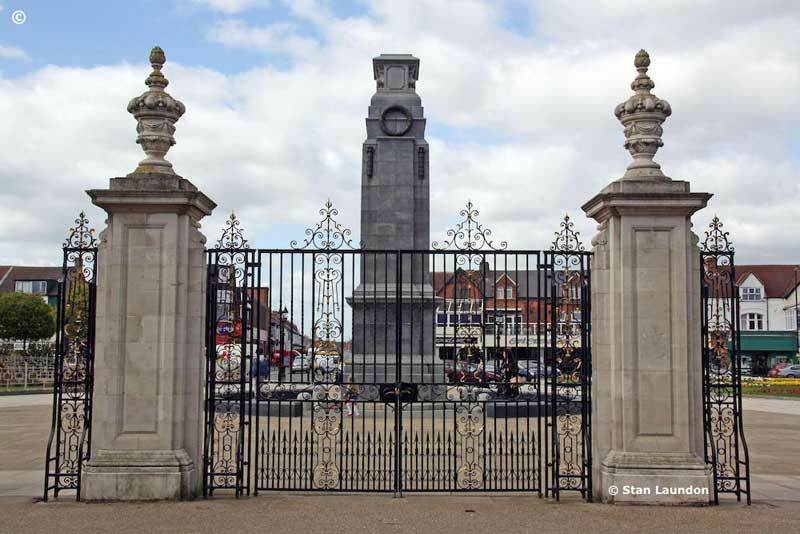 The town is often considered to extend beyond the council boundary into the neighbouring borough of Redcar & Cleveland. Whilst the Middlesbrough council area had 138,400 residents according to the office for national statistics, the Middlesbrough built-up area sub-division had a population of 174,700, which itself is part of the larger built-up area of Teesside and had an overall population of 376,333 at the 2011 census. 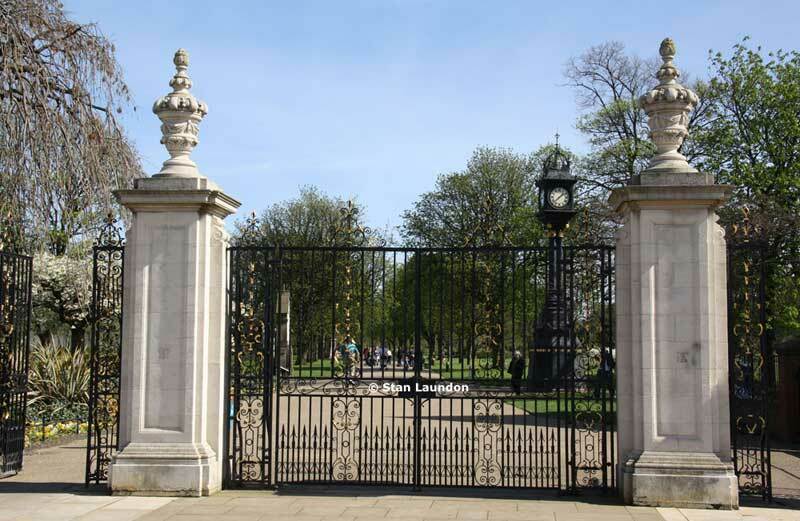 A view from inside Albert Park showing the park gates and Dorman Museum. 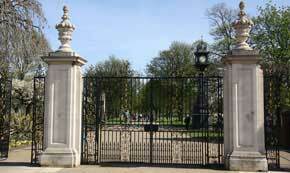 A view of Albert Park gates taken inside the park looking towards the War Memorial. 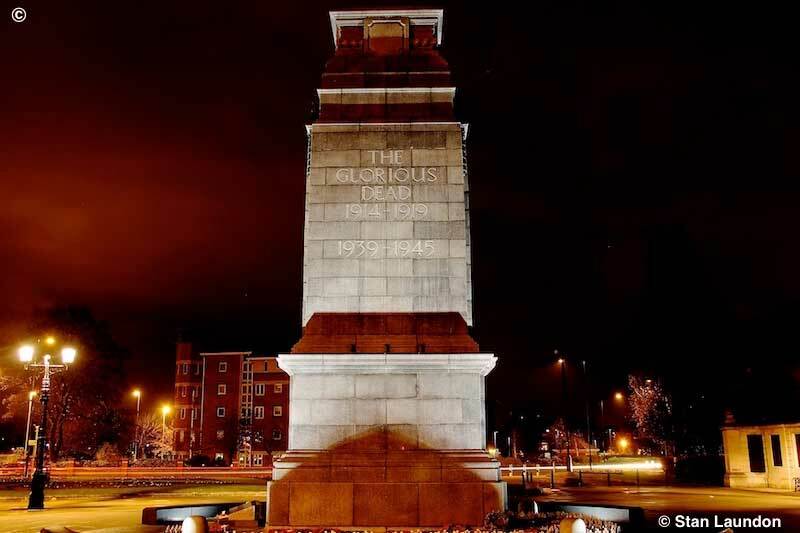 Remembering the Glorious Dead at Middlesbrough War Memorial. 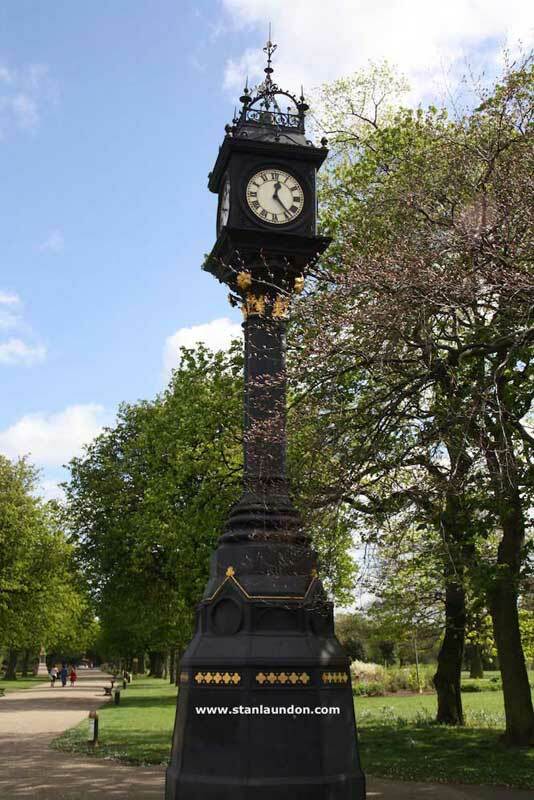 The Memorial Clock, which is Grade II listed, can be seen just inside the main gates to Albert Park. 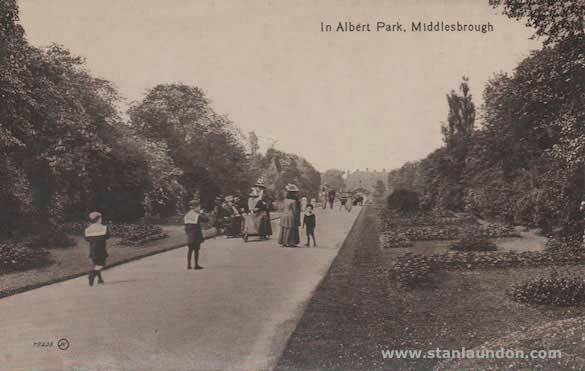 This postcard just says a public park in Middlesbrough - but Albert Park I would suggest. 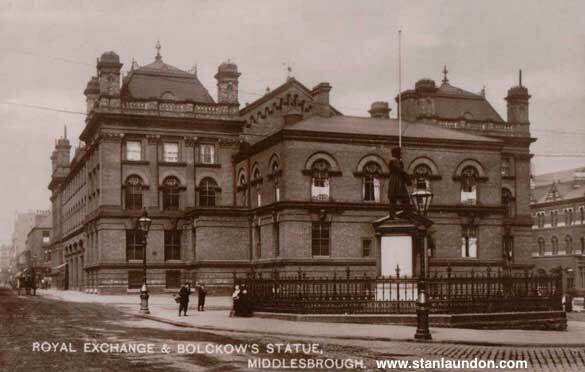 Exchange Square with a statue of Henry Bolckow in the centre. 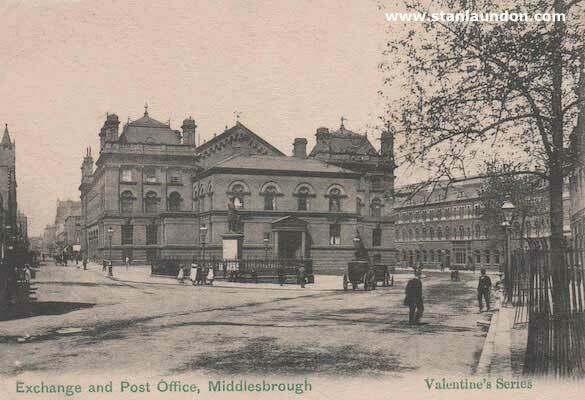 A postcard showing Wright's Tower House in Linthorpe Road. 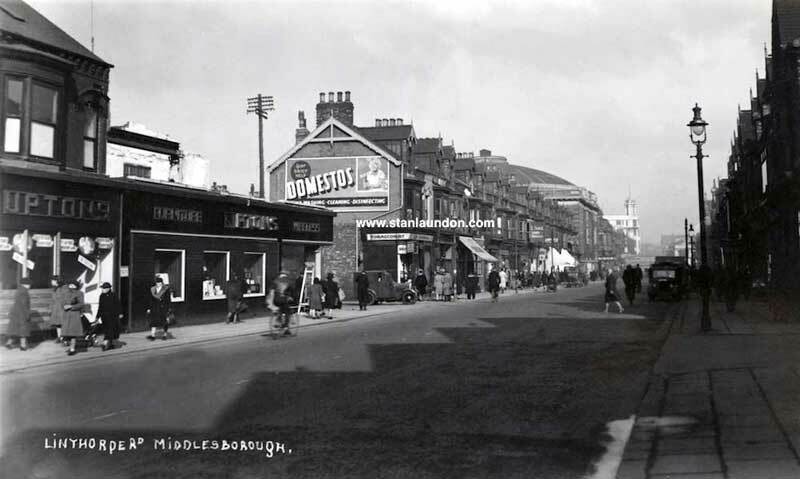 A relatively modern view of Linthorpe Road showing Upton's shop on the left and a nice wall advertisement for Domestos. 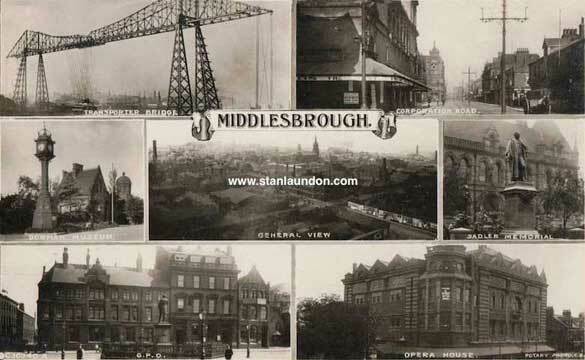 You will note that Middlesbrough is spelt wrong on the postcard! Part of the Tower House building, some years later, was the home of BBC Radio Teesside which opened on New Year's Eve 1970. 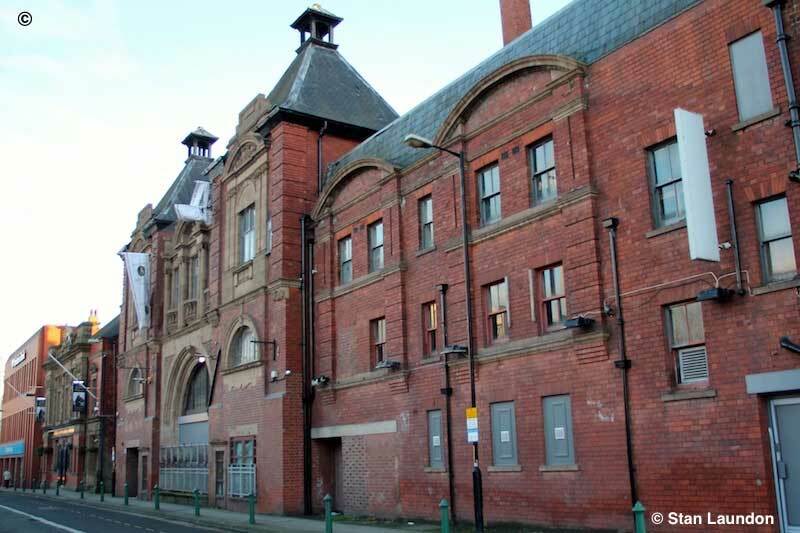 It became BBC Radio Cleveland in 1974 and is now BBC Tees - although broadcasting these days from a purpose built building near the bus station on a site known as the Newport Triangle. In an area of town called St. Hilda's - which was referred to as 'over the border' - this is the Captain Cook public house in Durham Street which is a Grade II listed building. 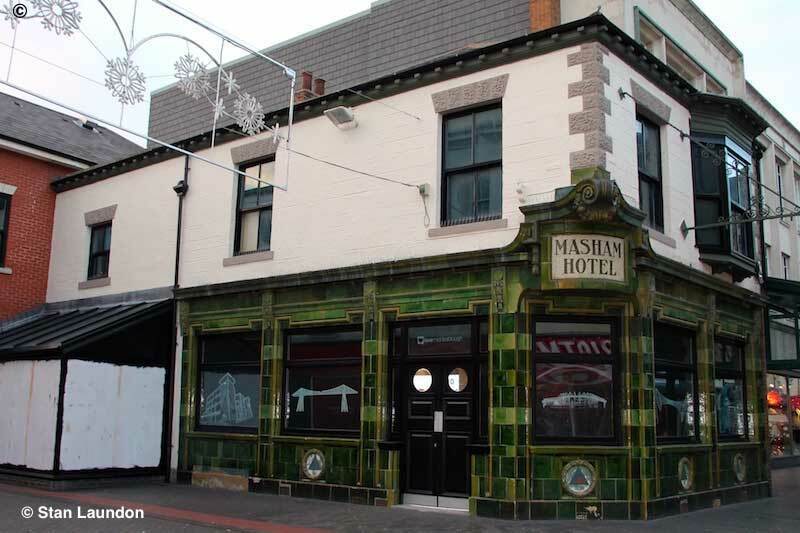 The Masham Hotel is situated on the pedestrian precinct on lower part of Linthorpe Road and is another Grade II listed building. 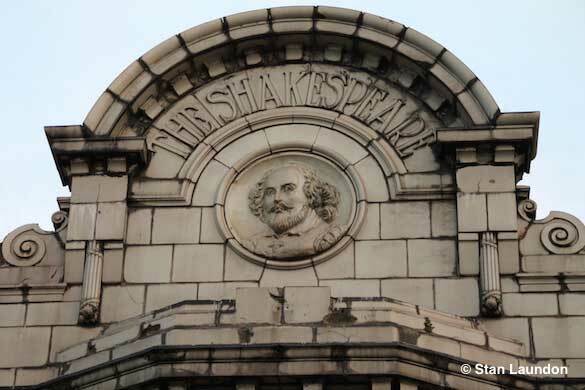 The Shakespeare in lower Linthorpe Road and quite close to The Masham Hotel, is yet another Grade II listed building in Middlesbrough. 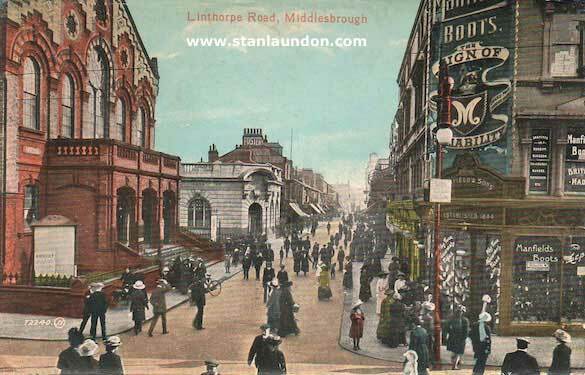 Another old postcard of Linthorpe Road. 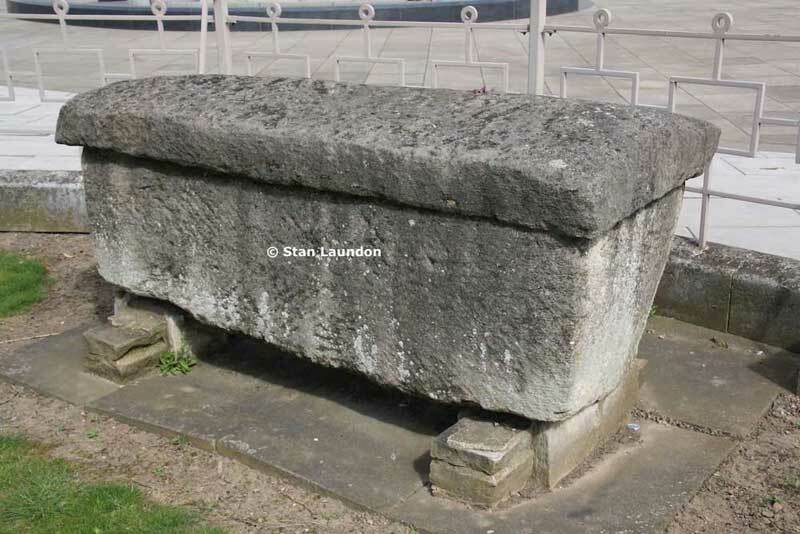 A stone coffin in the grounds of Dorman Memorial Museum in Park Road South. 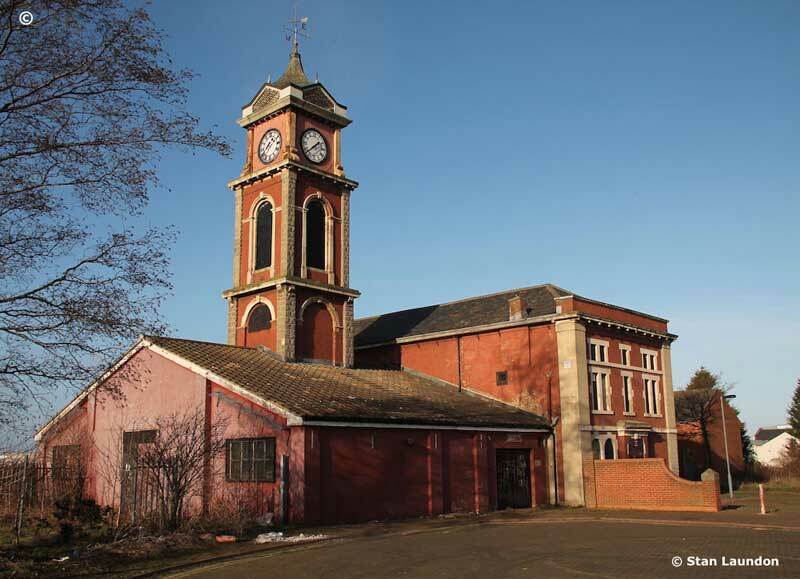 It is Grade II listed and was discovered during ironstone quarrying operations by the Cargo Fleet Iron Company Limited at Wellingborough, Northants, and presented to Dorman Memorial Museum in 1927. 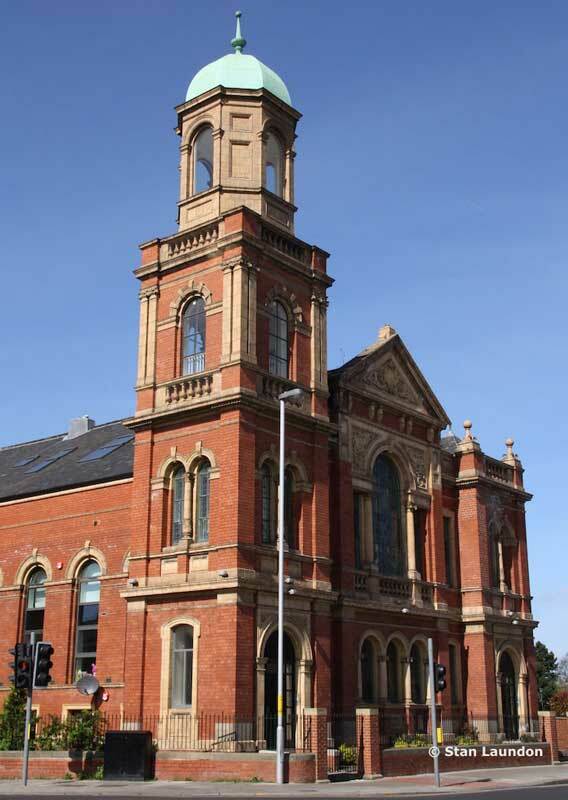 The Park Methodist Church on the corner of Ayresome Street and Linthorpe Road is a Grade II listed building. 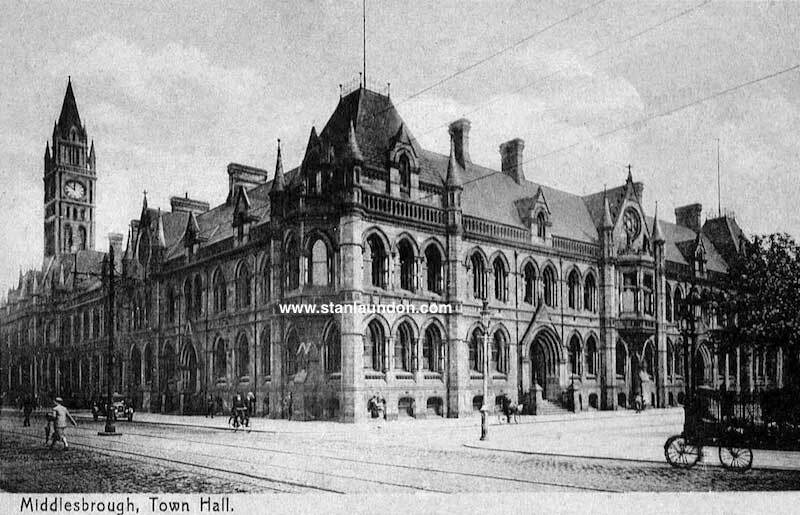 The original Town Hall in the St. Hilda's area of Middlesbrough. 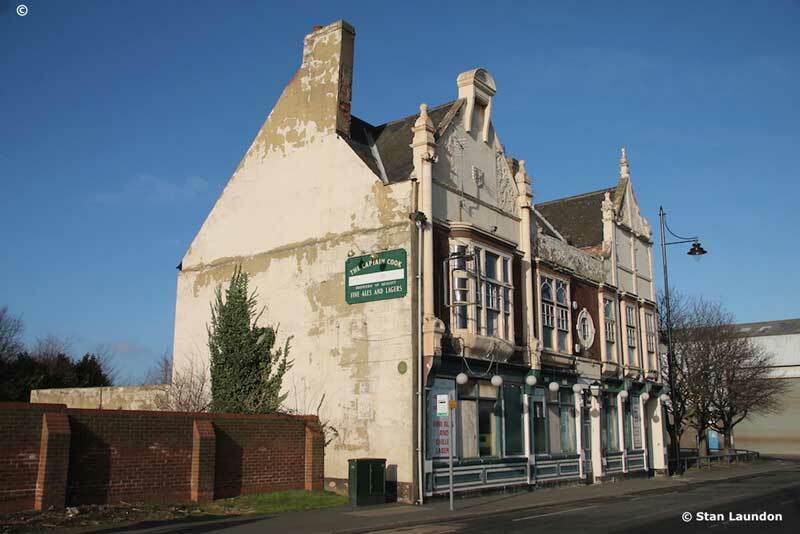 This grand old building, which is in East Street, has lots of graffiti around it and badly in need of restoration. It is a Grade II listed building. 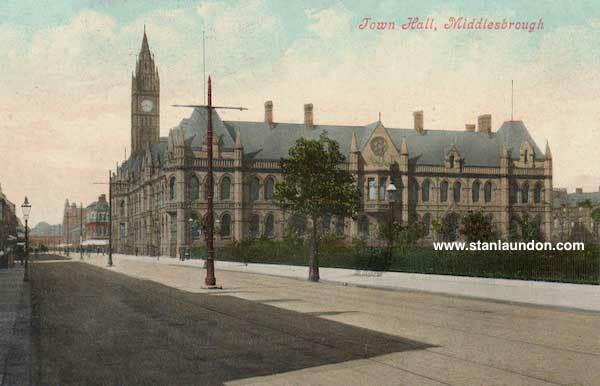 Two postcards of Middlesbrough Town Hall - before and after. 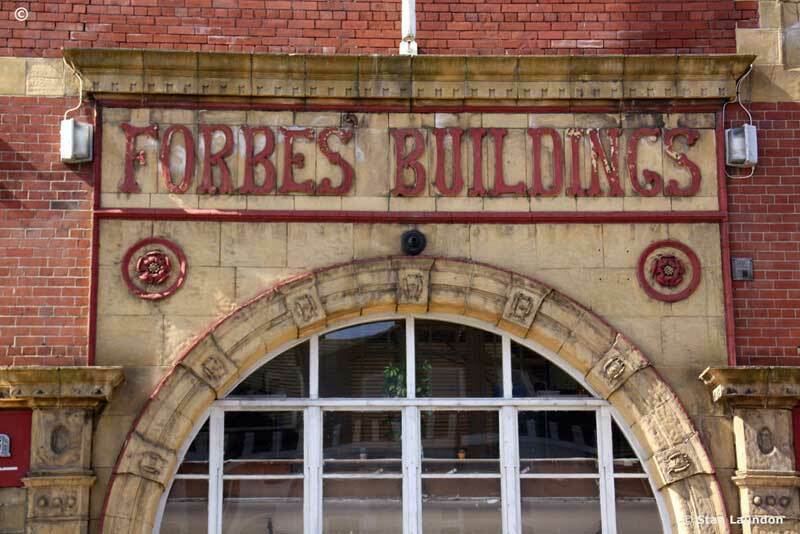 The Forbes Building in Linthorpe Road is another Grade II listed building in Middlesbrough. 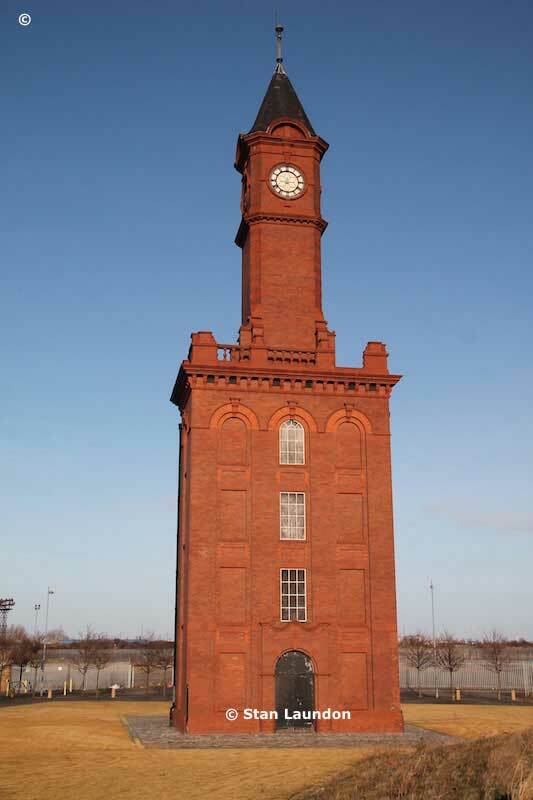 Two photographs of the Dock Clock Tower in the Middlehaven area of Middlesbrough, which was built by architect John Middleton in 1847. It was a noted landmark for approaching ships and just beneath the faces of the clock there was a little balcony for a look-out. 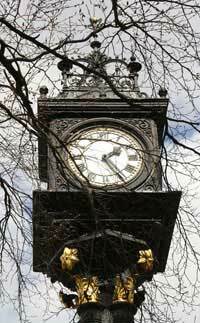 Although the tower had four sides, there were only three clock-faces. 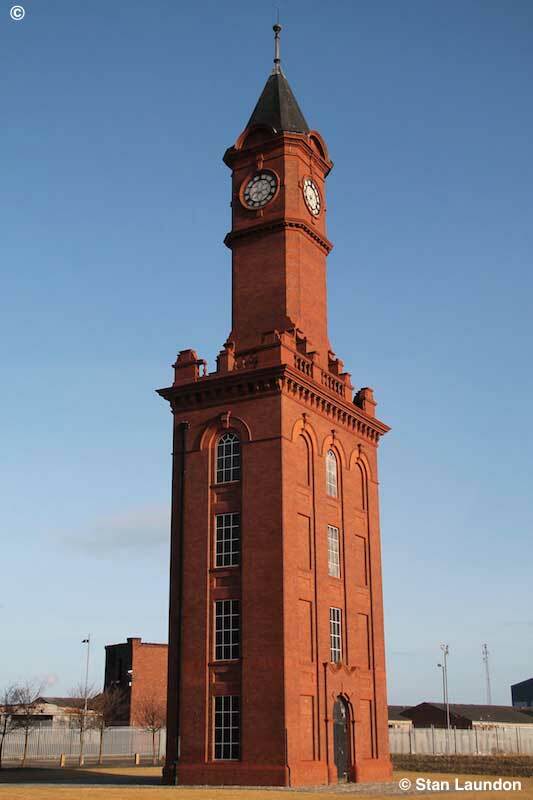 It was said that a local ironworks, or a shipyard, that faced the blank clock face from the docks area didn't want its workers clock watching. The tower was restored in 2005 as part of the development of the Middlehaven area on town. 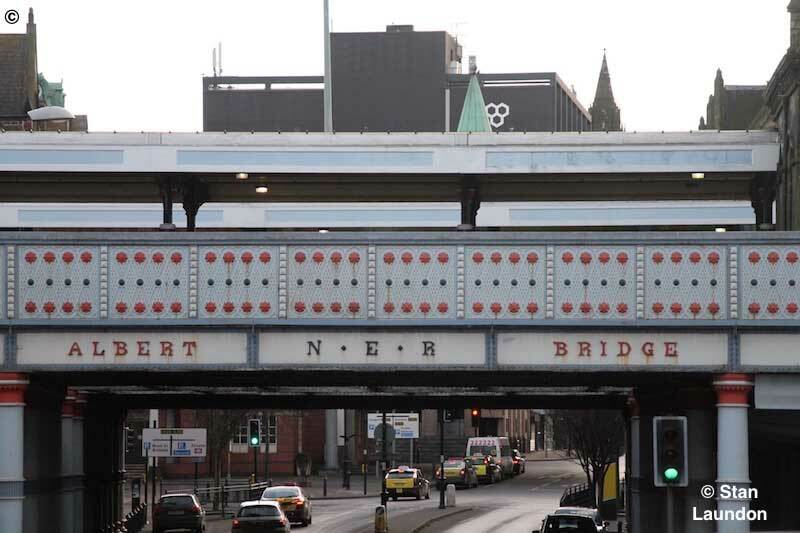 Albert NER Bridge is mentioned on the Historic England website. 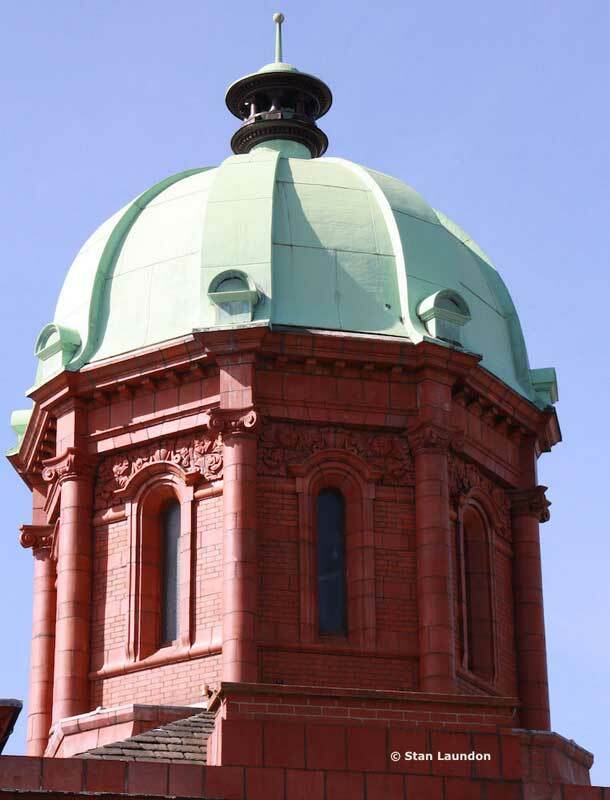 The dome of Dorman Memorial Museum. 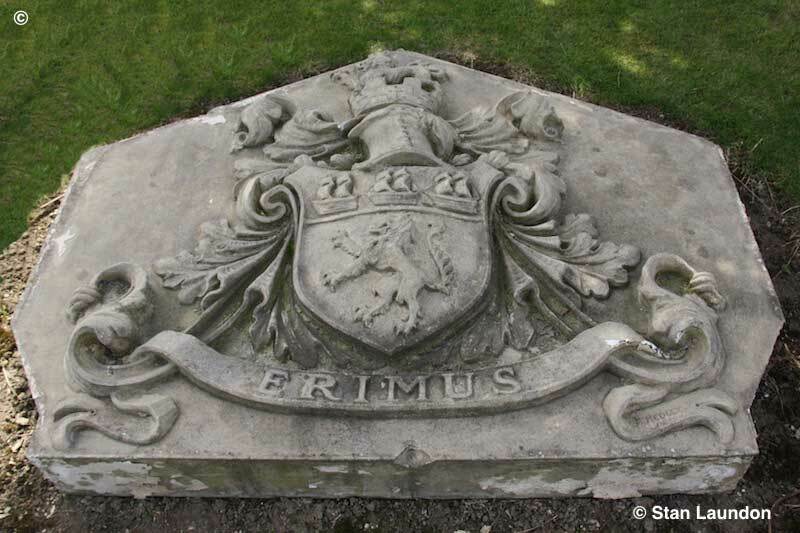 An engraved stone showing the Erimus Coat of Arms which is in the grounds of the Dorman Memorial Museum in Linthorpe Road, Middlesbrough. 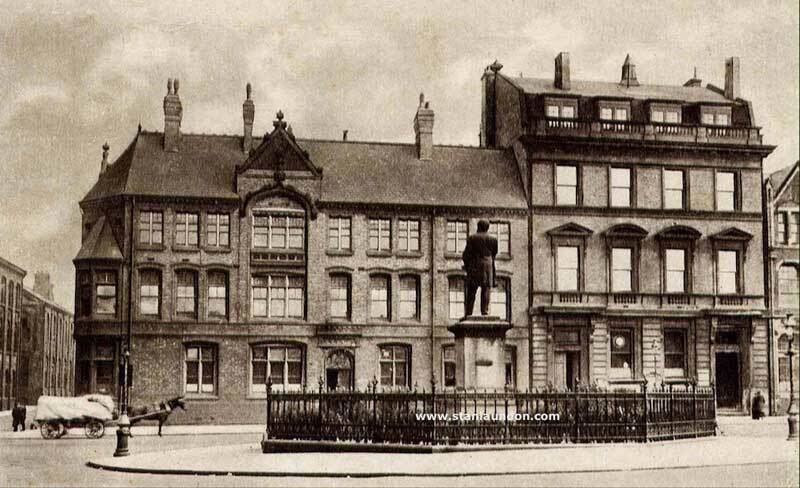 A postcard showing the statue of Samuel Sadler who was an industrialist in the town and mainly concerned with the chemical industry. 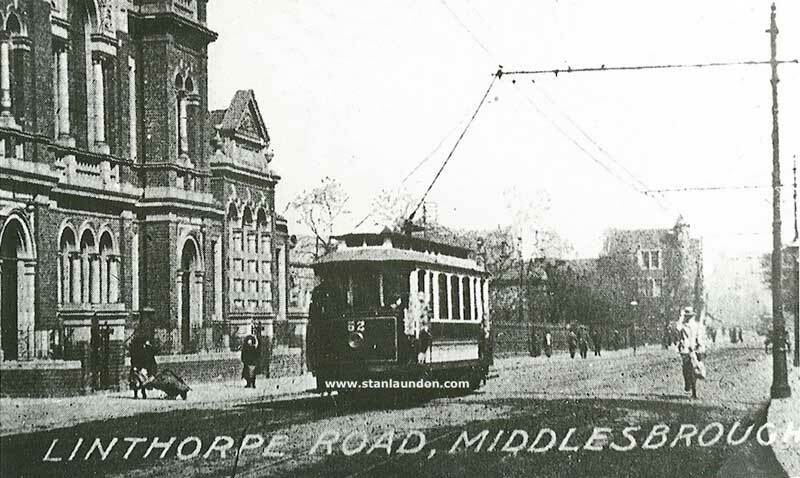 He served on Middlesbrough Council from 1873 to 1911 and was mayor on three occasions 1877, 1896 and 1910. 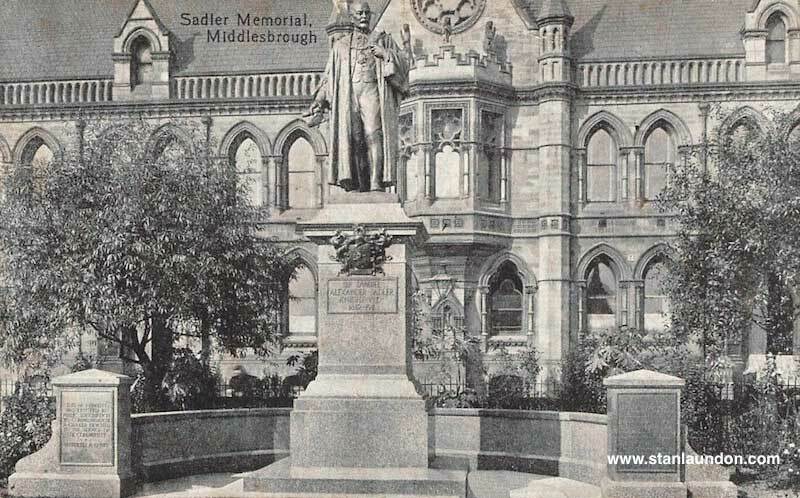 Sadler was the first Conservative Member of Parliament for Middlesbrough from 1900 to 1906. There's more information about Samuel Sadler on the Hidden Teesside website. 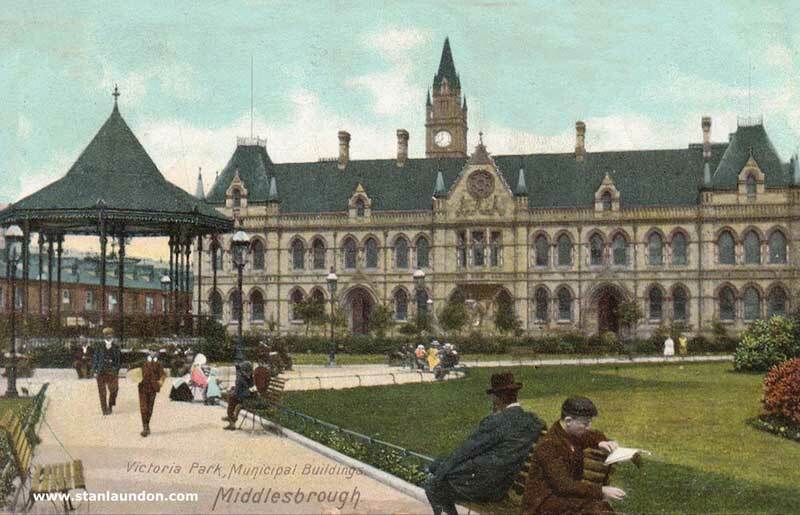 Victoria Park and Victoria Square showing the Municipal Buildings in the background. 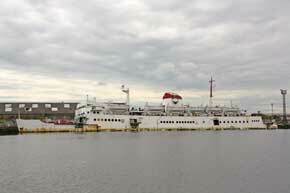 Another view of the "Tuxedo Royale" taken from Vulcan Street. 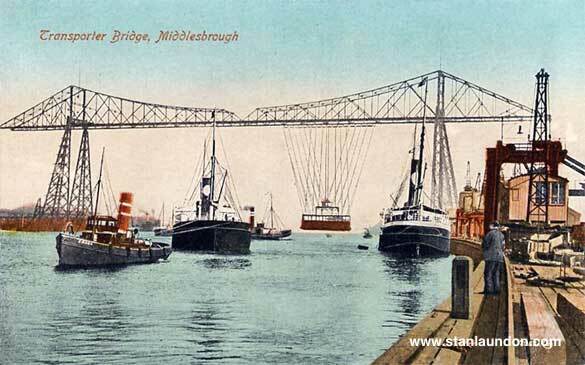 Another postcard of one of Middlesbrough's famous landmarks, the Transporter Bridge. 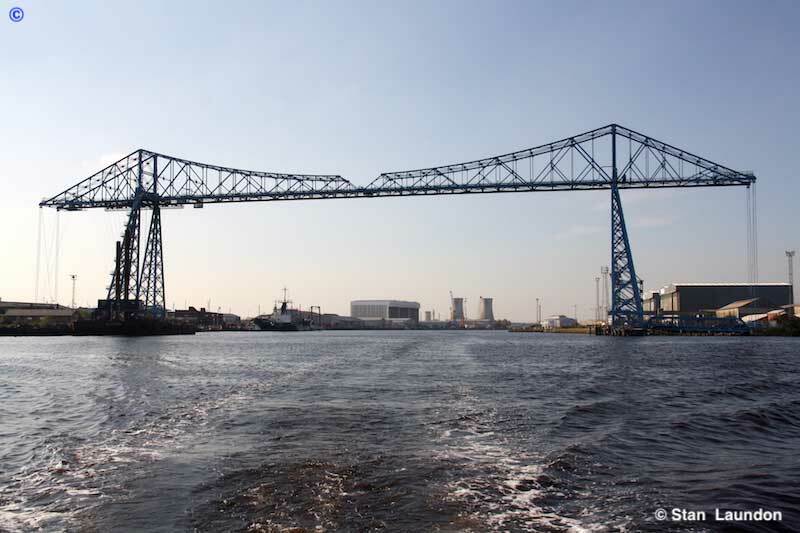 The Transporter Bridge taken from the River Tees. 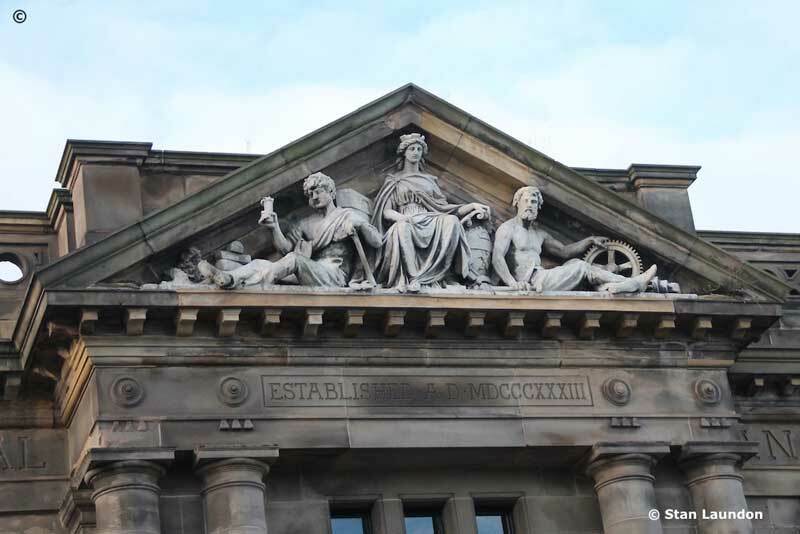 National and Provincial Bank's beautiful stonework sculpture above the main door shows an iron worker, a miner together with Britannia. Another rare photograph of the ABC Cinema in Middlesbrough courtesy of Old Cinema Photographs by Dusashenka. 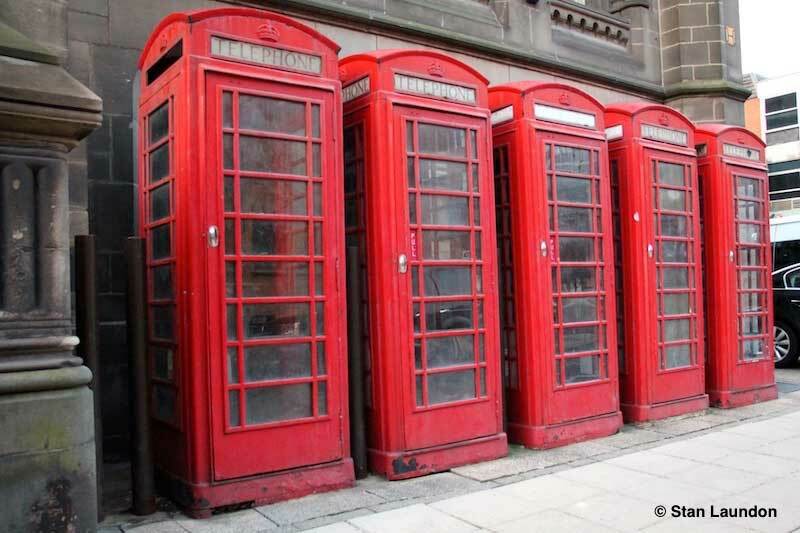 This group of five telephone kiosks, which can be seen at the junction of Corporation Street and Dunning Street at the side of Middlesbrough Town Hall, are Grade II listed and date to the mid 20th Century. They are painted in what was known as Post Office Red. 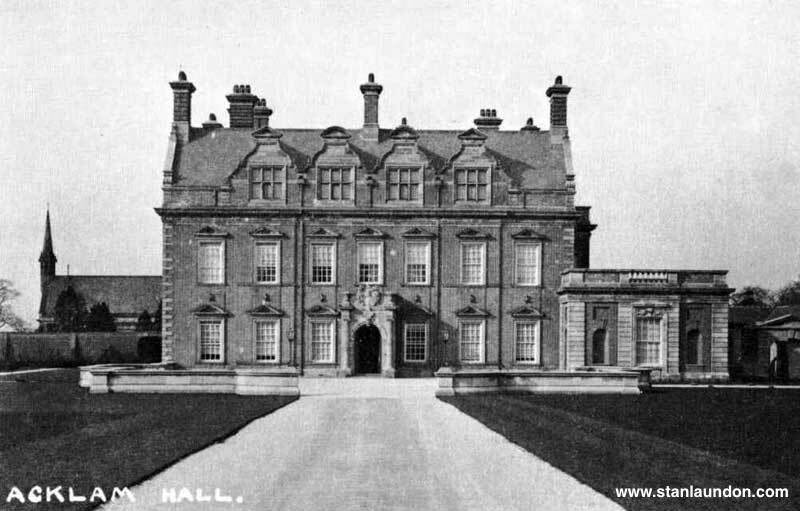 An old postcard showing Acklam Hall in 1913 and licensed under PD-US via Wikipedia. 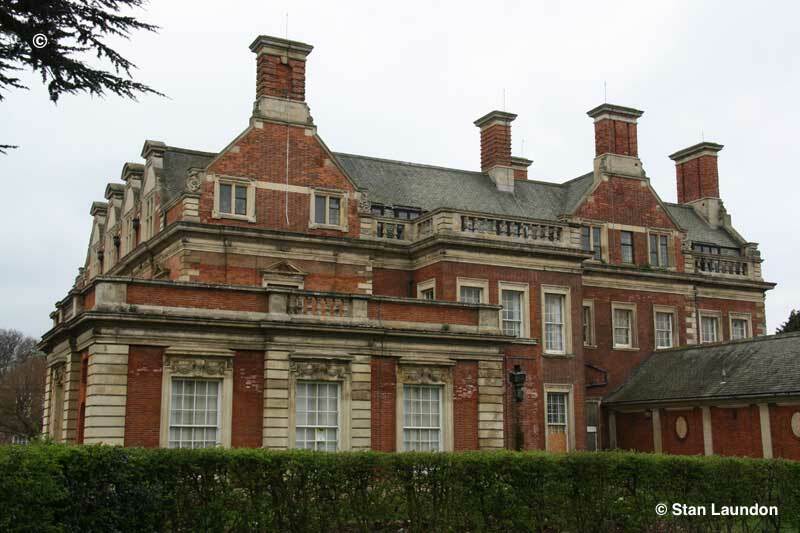 A modern view of Acklam Hall. 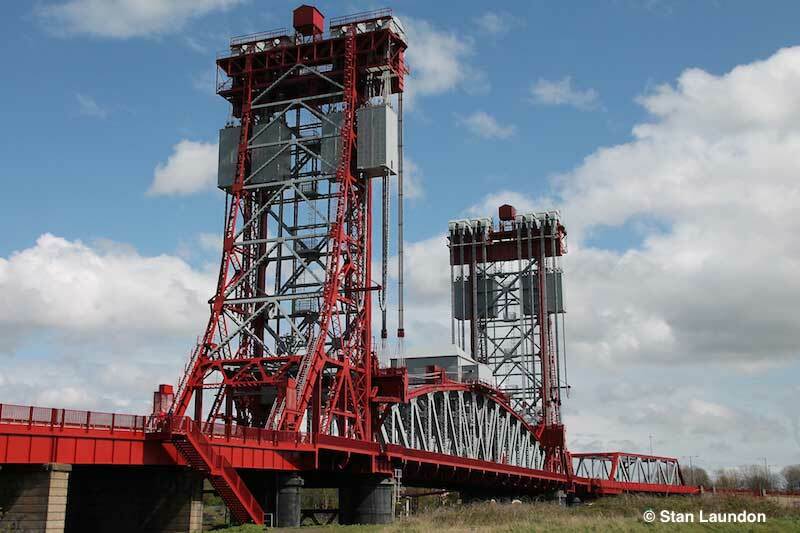 The Transporter Bridge across the River Tees was 100 years old in October 2011. To help celebrate its centenary hundreds of photographers were out in force as the impressive fireworks display lit up the bridge and the River Tees below. 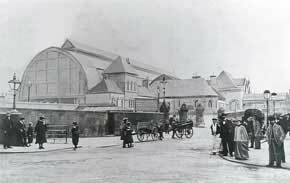 The Astoria Ballroom in Wilson Street, Middlesbrough. 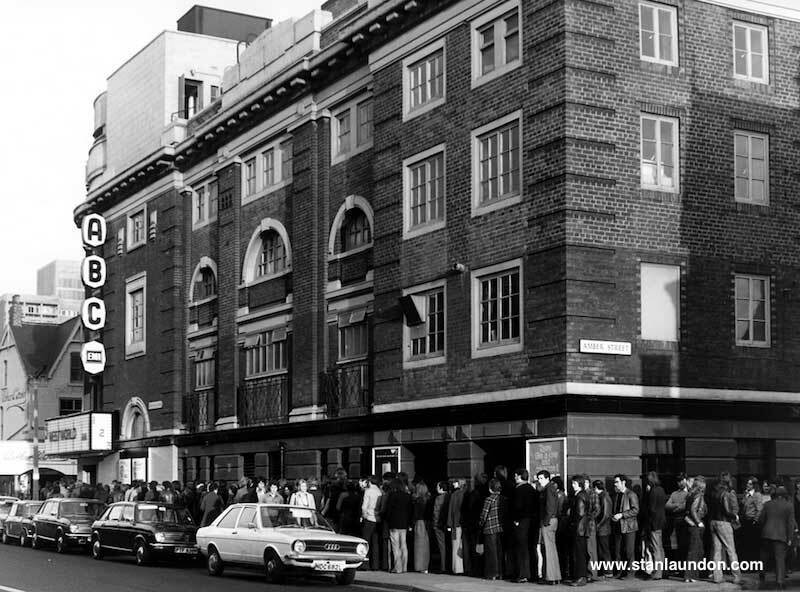 Those who remember the 60's will recall that the 'Fab Four' The Beatles played here on June 25th, 1963. The Johnny Taylor Five guitarist Henry Fawcett, who supported The Beatles on that night, spoke to John Foster, of BBC Tees, on December 8th, 2010 which was the 30th anniversary of John Lennon's death. You can hear the interview on the Johnny Taylor Five webpage. 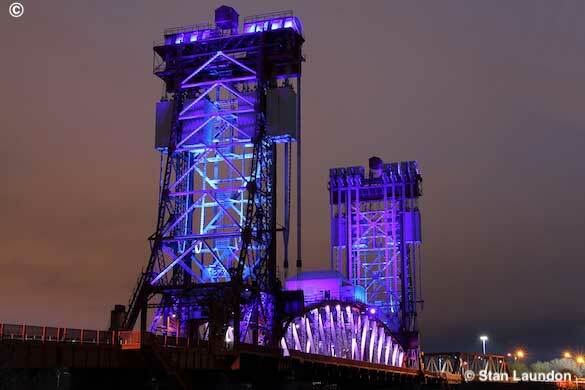 Newport Bridge taken on Christmas Eve 2017 - nicely lit up for the winter season. 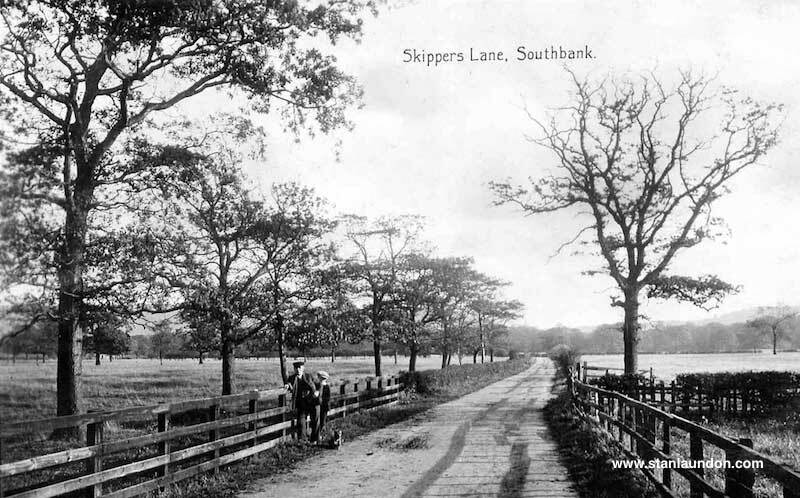 ...and just out of town at Skipper's Lane, Southbank. 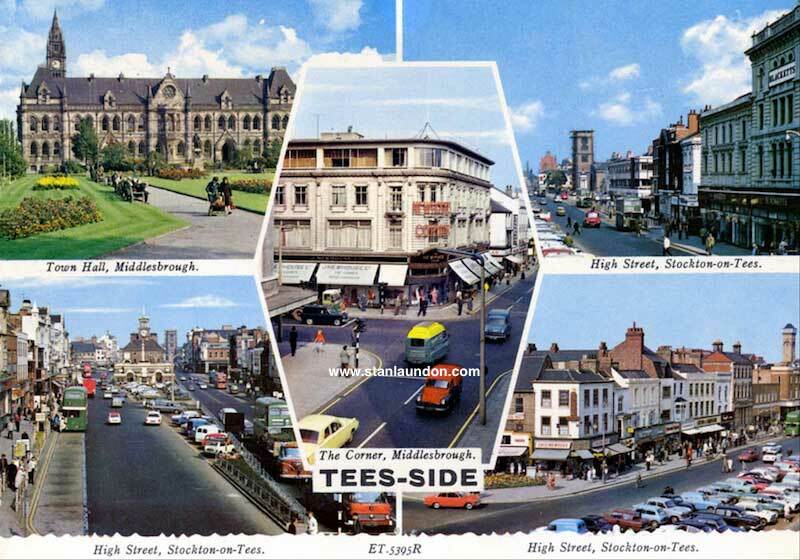 Not strictly a Middlesbrough postcard but one from Teesside showing views of The Corner and Town Hall in Middlesbrough with three views of Stockton High Street. 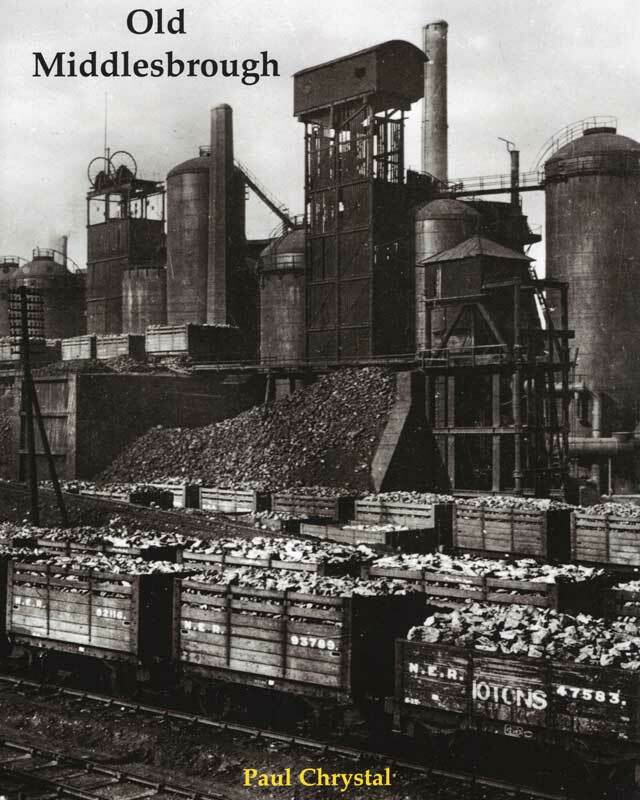 For those people who are interested in the history of Middlesbrough, and the surrounding area, you will be keen to see the “Old Middlesbrough” book by Paul Chrystal which is released through Stenlake Publishing. As you probably know in 1800 Middlesbrough was little more than a farmstead but, by the end of the century, the town was a large and busy place thanks to the railway, the docks and the iron and steel industry. This illustrated history is divided into sections starting with iron and steel and dealing with the companies involved individually. 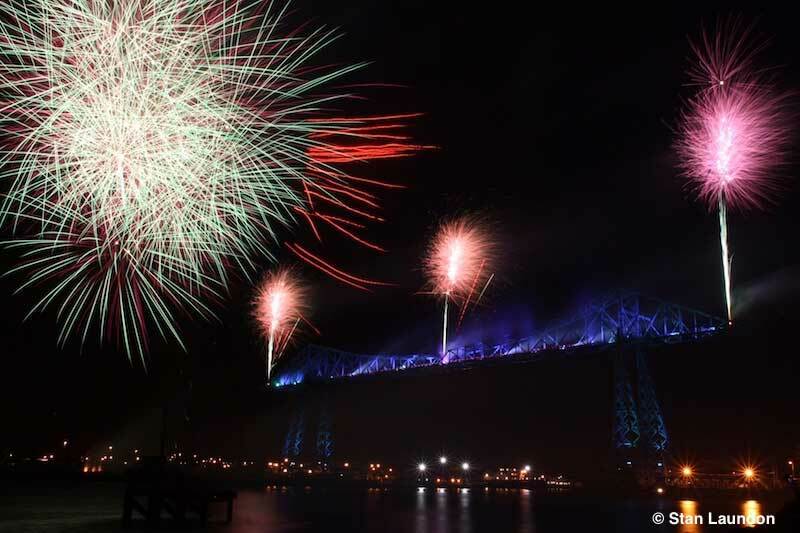 Other sections include the Transporter Bridge, shipbuilding and the dockyards, and Newport Bridge. 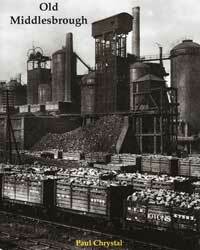 About half the book is taken up with the stuff of boys’ toys heavy industry, bridges, railways and shipping. The other half of the book deals with the human side, from housing to street life, entertainment, and the First and Second World Wars. 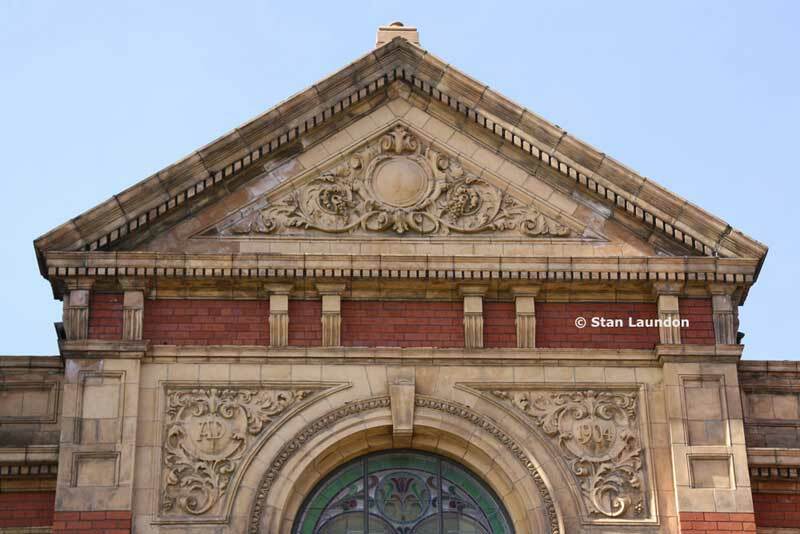 How nice it is to see a few photographs in there by Stan Laundon - such as the Vulcan Street Wall, the Dock Clock Tower, Tuxedo Royale and memories of BBC Radio Cleveland. All modern photographs on this page are copyright © Stan Laundon unless otherwise stated and must not be copied, or used in any way, without prior written permission.